On February 13th, six campus unions (CUPE 3909, UMSU, UMFA, CAW, AESES, and CUPE 1482) will hold an information picket at the Administration Building to voice concerns over actions by the administration supporting corporatization, privatization, contracting-out, diminished collegial governance, and increased workload. Since the commencement of the ROSE / OARS initiatives, students and staff at the University of Manitoba have been under increased strain as working and learning conditions come under attack. We’ve all witnessed AESES workers overwhelmed as they are obliged to learn to use new operating systems that do not streamline work as promised; CAW employee numbers decrease and workload increases while the respectful workplace environment is eroded; students are excluded from voicing their concerns over the University’s future and conditions are created to allow for increased tuition and other user fees; and UMFA members, who are finding that collegial governance is diminishing, are concerned over proposed changes that will greatly impact programs and their working conditions. Throughout all of these harmful changes to our working and learning environment, the administration at the University of Manitoba has been advertising itself as an “Employer of Choice” and one of “Manitoba’s Top 25 Employers.” The administration touts the employee benefits, physical facilities, and a respectful environment as some of the reasons that people choose to work at U of M. For members of CUPE 3909, this self congratulatory tone is unwarranted: we are rarely eligible for benefits, we are often denied appropriate space to teach or to work, and while we get respect from students, it is sadly lacking from our employers. Working conditions for CUPE 3909 members have never been optimal. Student academic workers today are more likely to find themselves expected to work more hours than those assigned in their contracts and sessional employees are more uncertain about their futures than ever as courses are cut or reassigned without explanation and hiring practices become more opaque. For both students and sessional employees, the corporate model degrades working conditions and drives down our wages. CUPE 3909 works through the grievance procedure and through collective bargaining to protect and improve conditions for our members, but on February 13th we have an opportunity to raise our voices for ourselves and in solidarity with students and colleagues. The actions of the administration towards employees and students directly contradict the image being promoted locally and nationally. The changes we have seen under the Barnard administration, particularly over the last year, show an employer that is more concerned about external impressions and advertising awards than with conditions inside the university. This information rally is a chance to show the University of Manitoba that a wide swath of the university community finds the direction administration is taking unacceptable and that we are all frustrated and dissatisfied. We want the administration to know that this campus belongs to the entire university community and to the citizens of Manitoba. CUPE 3909 will be providing signs for members to carry at the rally. You will receive more emails providing further information on pre-printed signs and “open message” signs where you can print your particular concerns. Transportation to and from the Bannatyne campus will also be arranged. All unions will be advertising this event around campus with posters and through direct member communications. CUPE 3909 urges you to come out in a show of solidarity and wear red to show how you feel. Take a stand against the administration’s lack of regard for the students and for its employees. Help send a strong message, rally for a change in direction because IT’S OUR UNIVERSITY TOO. 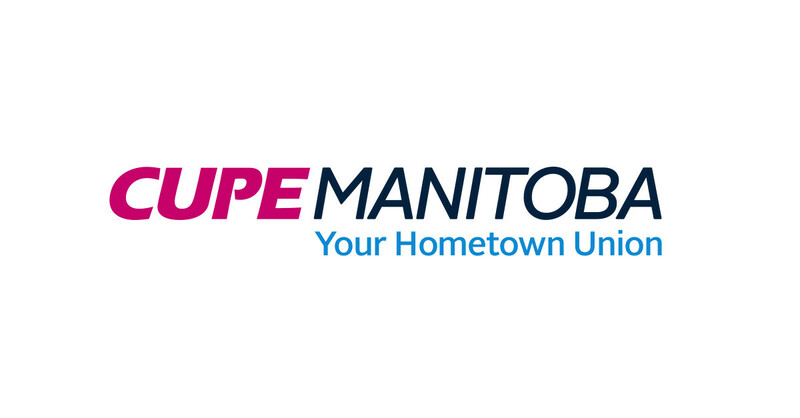 Southern Manitoba Health Care Support Workers Choose CUPE!